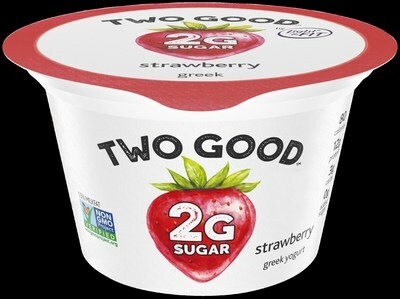 WHITE PLAINS, N.Y., Jan. 15, 2019 /PRNewswire/ -- Responding to demand for options with less sugar, Danone North America, the leading maker of yogurt in the U.S., today announced the launch of Two Good™ Greek Lowfat Yogurt. 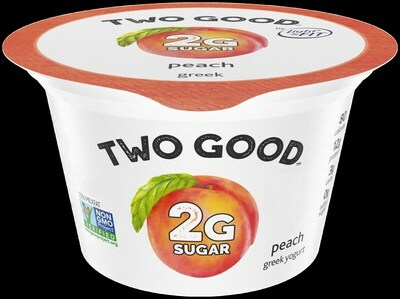 This game-changing innovation offers the delicious, creamy taste people love about yogurt, with 2g of total sugar, 3g of carbs, 12g of protein and 80 calories per 5.3 oz. cup. "Milk is the starting point for yogurt, and sugar is naturally occurring in milk. As people continue to look for ways to reduce sugar from their diets, we've been working hard to find a way to remove some of the naturally occurring sugar found in milk so that yogurt continues to be a preferred choice," said Thierry St. Denis, Danone North America's Senior Director of Research and Innovation for yogurt. "In hindsight, now that all of the hard work of development has been completed, the process seems quite simple. 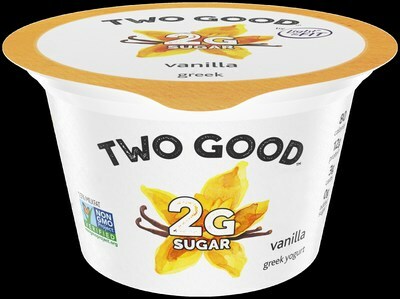 It is with great pride that we announce the launch of Two Good, a delicious yogurt our team has worked diligently to perfect." "We expect sugar to continue to be an area of interest for consumers, which is why our yogurt makers prioritized developing a recipe to address it head on," said Amanda Blechman, Registered Dietitian, and Senior Manager of Scientific Affairs at Danone North America. 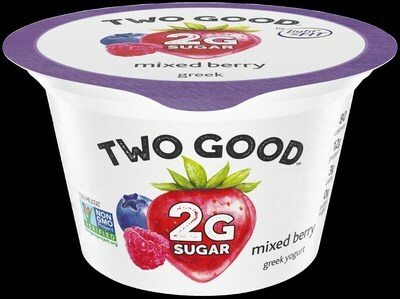 "With Two Good, yogurt-lovers have an option with the creamy texture they enjoy without a lot of the sugar they are trying to avoid." In addition to a revolutionary new Greek yogurt option, Danone North America recently introduced Good Plants™ dairy-free Almondmilk Probiotic Yogurt Alternative. As the flexitarian lifestyle continues to evolve and gain popularity, the growth of plant-based alternatives presents an opportunity to further grow Americans' love of yogurt. With 40% fewer calories and 70% less sugar than most almondmilk yogurt alternatives***, Good Plants offers consumers four delicious flavors including, Strawberry, Vanilla, Chocolate Coconut and Lemon Meringue. "To introduce people to these innovative new offerings in the yogurt aisle, we are launching a new campaign, Do Good By You," said Prabha Cheemalapati, Vice President of Yogurt Marketing. "Do Good By You is more than a tagline, it's a brand mantra that encourages self-care every day. National advertising created with trusted partners, VMLY&R, Revolution Digital and Wavemaker, will hit TV, online video and social this month. We look forward to learning about all the inspiring ways people choose to do good for themselves and having them make Two Good a part of those moments."